President Cyril Ramaphosa warned that the situation at Eskom was so bad that it was possible the parastatal would not be able to pay salaries at the end of next month. City Press understands that this is what Ramaphosa told leaders of the National Union of Mineworkers (NUM) this week in a meeting held to discuss ways to rescue Eskom. Energy Minister Jeff Radebe and Public Enterprises Minister Pravin Gordhan were also at the three-hour meeting. Eskom said the suggestion that it would not be able to pay salaries was “not true”. The power utility’s woes include high operating costs and its failure to meet its payment obligations regarding its R430 billion debt. Eskom is not generating revenue and its crisis is compounded by high levels of electricity theft and the fact that several municipalities owe it millions of rands. An NUM leader said Ramaphosa, who is the founder of the union, later gave assurances at the meeting that salaries would be paid because government had secured funding from China Development Bank. “The president said he got a report that says that Eskom was not going to pay salaries at the end of April. But he also assured us that Eskom will pay salaries because they have got an arrangement with China about a loan for Eskom. He said the matter of paying salaries was then resolved. But on the future of Eskom, the president is saying that we must deeply engage on the issue of unbundling because, if we don’t unbundle, there is no way that we can get Eskom right,” an NUM leader said. Last year, Eskom signed a government-backed loan with China Development Bank following bilateral talks between Ramaphosa and Chinese President Xi Jinping. The loan was to be used for the construction of the Kusile Power Station. The head of the ANC’s presidency office, Zizi Kodwa, told City Press that the reality was that Eskom was broke and needed to be rescued. “There are immediate short- and long-term strategic decisions that need to be made. That is why there was an outcry about municipalities and cities that are not paying Eskom. 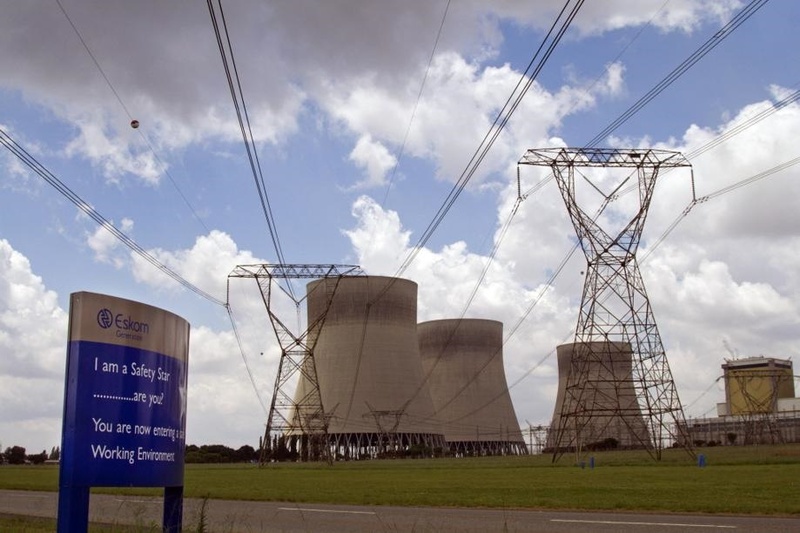 If we don’t make sure that we do certain things correctly in the immediate future and in the long term, we may not be able to have an Eskom that is sustainable financially,” he said. The NUM and other unions criticised Ramaphosa after he announced a proposal to unbundle Eskom into three units – transmission, distribution and power generation – during his state of the nation address last month. The unions saw this as a move towards privatisation that would lead to retrenchments and higher power prices. The NUM accused government of failing to explain what the unbundling would entail in terms of job security, and said it had not been consulted on key decisions. Kodwa said that the president assured the NUM leaders that unbundling was not equal to job losses. “The unbundling will address the systemic challenges, including how we address the inability of the current business model to guarantee a supply of energy. If we are to make Eskom sustainable and profitable, and able to meet its mandate, there are certain things that need to be done,” he said. Makgabo Mabapa, the deputy general secretary of the NUM, said it was dangerous for Gordhan and Eskom to be issuing contradictory statements on the issue. “What we want is to get a commitment that says we will do everything possible if we have to restructure and unbundle this company, but, at the end of the day, there won’t be forced retrenchments. “The answer that we are getting is that the president himself confirmed many times that there won’t be any job losses when Eskom is restructured. But, when you listen to Pravin Gordhan and hear about what the management of Eskom is doing, you start to realise you are getting contradicting statements on this issue,” Mabapa said. Gordhan has said that cost-cutting measures, including reducing the number of managers at Eskom, remain part of the entity’s turnaround strategy.